Happy Monday friends!! 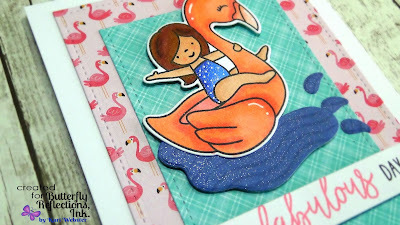 I know its been a pattern - but I wanted to share with you that I am over at the Butterfly Reflections Ink Blog featuring the adorable stamp set from Neat and Tangled called Flamingo Floatie!! Here's a sneak of what you can see over at BRI! 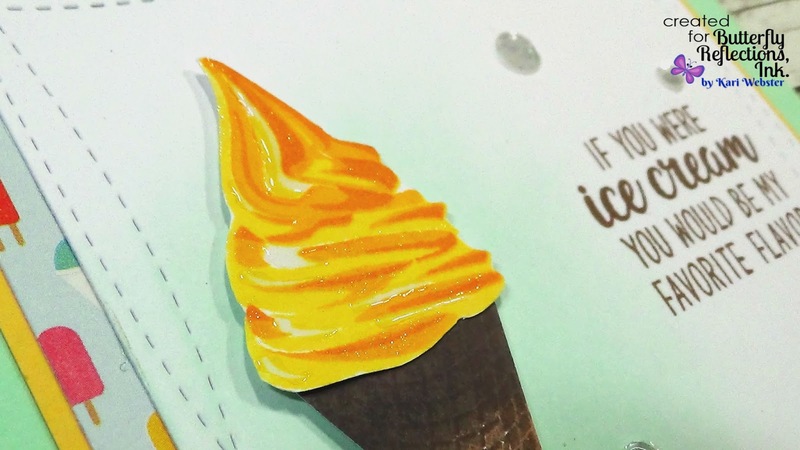 Hope you will join me over there and get additional details on how I put this one together!! Hi friends! Today I am sharing a card showing how to achieve the look of the No Line Coloring technique. 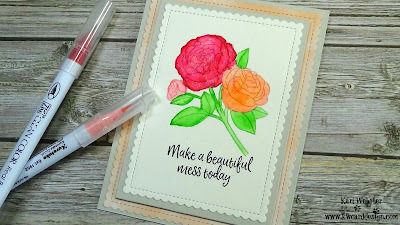 I recently got inspired by Amy R ( Prairie Paper and Ink) when she showed in one of her recent videos the Barely Beige Ink from Simon Says Stamp, and how when you stamp down an image, what ever color you use with your coloring medium, the lines of the stamped image will take on that color! It is a very cool effect!! 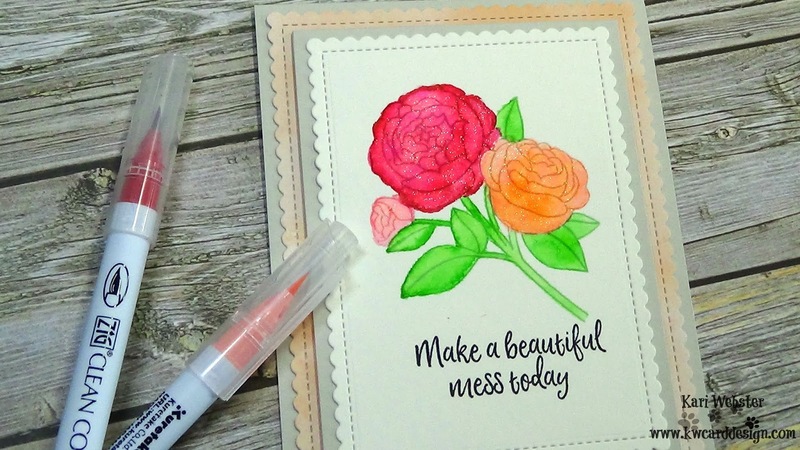 I used a Clearly Besotted set that sadly I can not find online to link, it may be retired, but I love these rose images, and thought this would be a great set to try this look with. 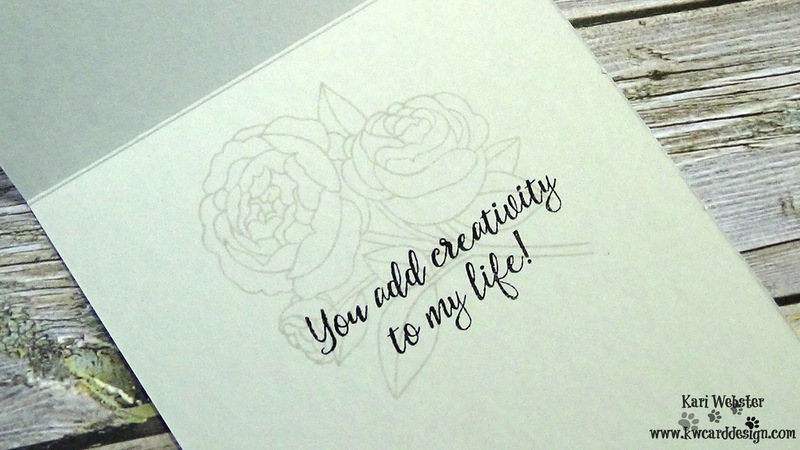 I stamped my image down onto a piece of Canson XL Watercolor paper, and then die cut it with one of the Mini Scalloped Rectangle frames. 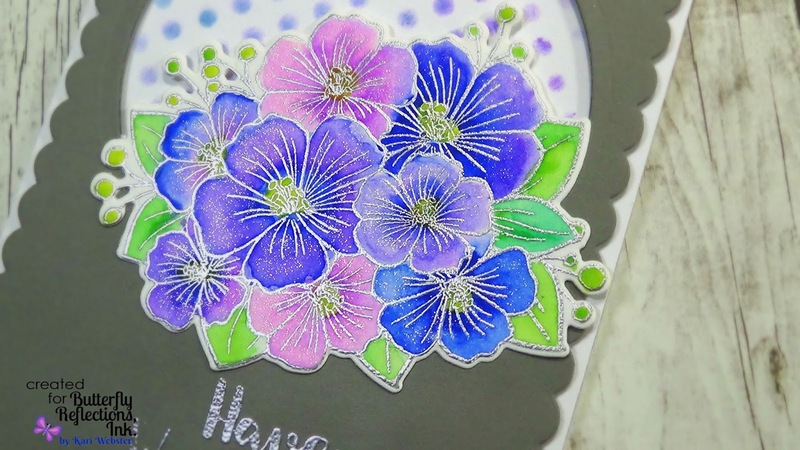 I stamped this main image using the Barely Beige Ink from SSS, and used my Zig Clean Color Real Brush Markers to do my coloring. This is a unique look and different from any thing I've done before, but I think I like it! Once I was completely done with my coloring, I set the panel aside to dry. I did the rest of my die cutting, and die cut a piece of the Watercolor wash 6x6 papers from MFT, as well as a piece of Fog Card stock from SSS. My card base is also Fog card stock. This is a great neutral, and a great alternative to white. 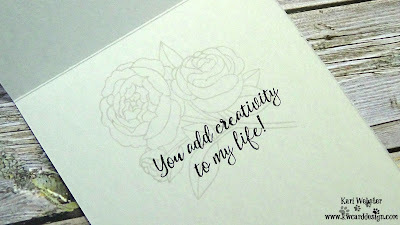 I went on and stamped out my sentiment from the Craft Friends stamp set from Altenew using the Lawn Fawn Jet Black ink. I adhered everything onto my card base using either foam tape, or the Tonic Nuvo Glue (which I am testing out). 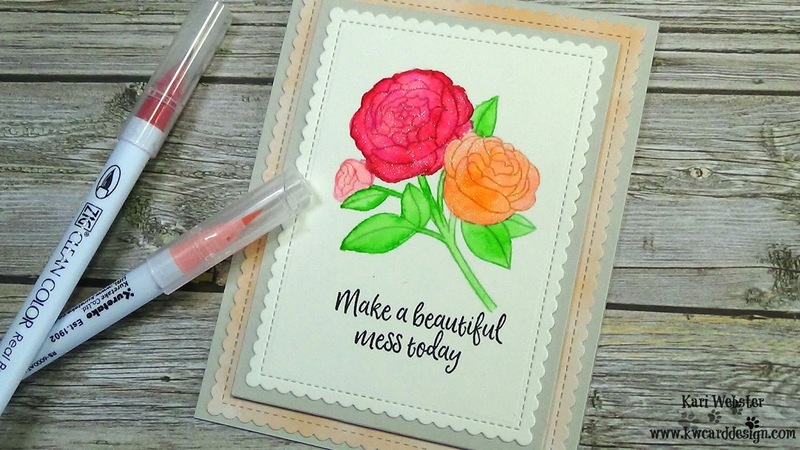 For final touches, I added some shimmer with the Clear Wink of Stella pen, and finished the inside by stamping the stamp rose image with Fog ink, and stamping another sentiment from the Altenew set. Overall, I think it turned out good, but I will continue to practice and see where my journey takes me with the No Line coloring technique. Thanks for stopping by today! 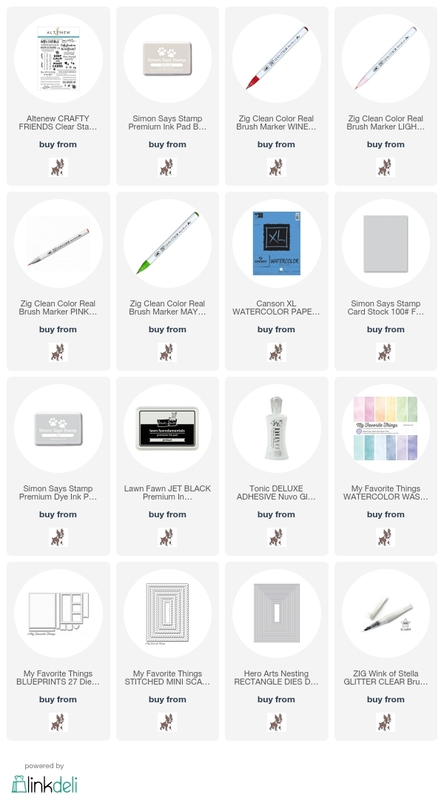 All the supplies used are listed/linked below and the video is above if interested! Take care! Friends! Hi and welcome! 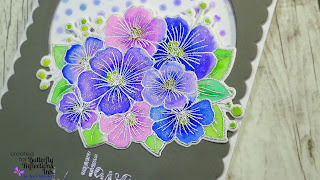 I am here to share a sneak peek into a card I created for the BRI Blog today, and I share how I stretched my stamps just a little bit further to create a fun extra element!! Can you guess what it is?? To find out, head on over!! See you there! Hi Friends! I am quickly popping in to share that I have a giveaway going on over at my Youtube Channel celebrating the milestone of hitting 5000 subscribers! So if you are not subscribed, I encourage you to check out my channel!! 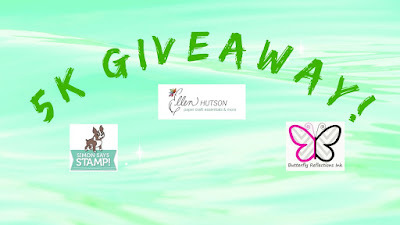 All the details about the giveaway and how to enter are there! You have until June 30th!! Good luck!! 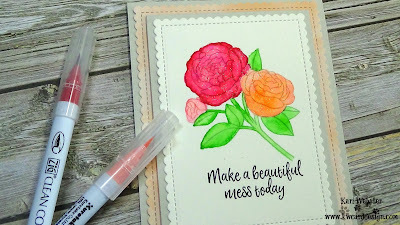 It is Monday once again, which means you can find me over at the Butterfly Reflections, Ink blog, and I am showing you how I put together this card featuring the Avery Elle Floral Bouquet stamp set!